As America remembered the tragic terrorist attacks of 9/11, Obama spent the morning with DJ Laz, "the pimp with the limp." President Obama continues reaching out to non-traditional media to spread the campaign word, appearing this morning on 106.7 FM with DJ Laz AKA "the pimp with the limp," who tweeted that he was getting "REAL Answers from @BarackObama." The two discussed a wide range of topics, from health care to Pitbull, Flo Rida, and the Dolphins. Instead of mentioning 9/11 on 9/11, Obama used the interview as an opportunity to attack Romney, claiming Romney would bankrupt Medicare by 2016. Fact checkers have labeled that talking point a distortion. There is confusion over when the interview was conducted. The White House claims it was taped over the weekend, but "the pimp with the limp" and the radio station promoted the interview as live at 7:05 am over twitter (the time stamps on the account are three hours behind EST). If the interview was live, it was less than two hours before the President and First Lady observed a moment of silence to mark the 11th anniversary of 9/11. 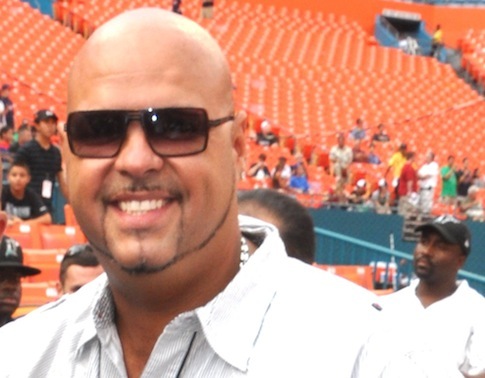 Noted Hennessy aficionado DJ Laz is no stranger to controversy. In 2011, he was tied to the murder-suicide of his audio engineer. Update: DJ Laz, "The Pimp With The Limp," late Tuesday repeated his claim that Obama did indeed conduct the interview live this morning. He appeared with the First Lady to observe a moment of silence for the victims of 9/11 after the interview in which he attacked Romney and failed to mention 9/11. This entry was posted in Politics and tagged Obama Administration, Obama Campaign, September 11. Bookmark the permalink.